They each need PHP, cUrl and a MySQL client library installed in order to function – but then they are actually able to support our aggregation tasks quite nicely. 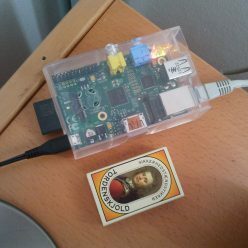 So the other day when a harddisk crashed, I came to think of the Raspberry Pi (popularly dubbed the $25 computer) – It actually set me back DKK 638,- including P&P from a danish webshop (a little more over $100), but that was only because I insisted on a cabinet, a power supply and an SD card. Still I can get three of these for the same price as 1 very low-end netbook. An our after the postman delivered the envelope, it was up and running aggregating away. 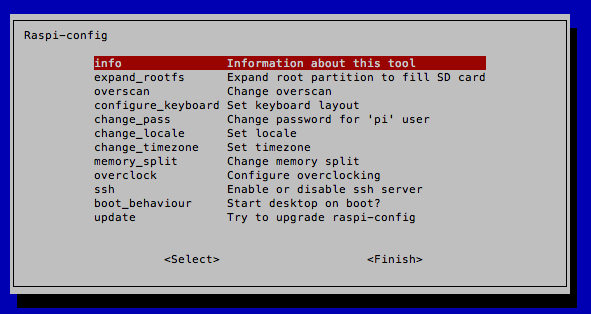 From my laptop I downloaded the Raspian “wheezy” SD card image – it downloads a .zip file to unzip into a .img-file. On Mac and Linux the image can easily be copied to the SD card (but taking about 20 minutes). I used this process. 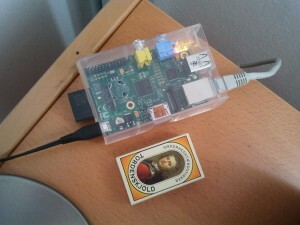 Once the image was downloaded I moved the SD card to theRaspberry Pi unit, plugged a keyboard into one of the USB ports, connected my TV through the HDMI connector and powered up. First boot took about 30 seconds and took me directly to a very nice configuration UI, I set the locale and timezone and asked the ssh-daemon to start on boot. Next step was to shut down and move the box over to a LAN connection by my modem. Now only the LAN connection and the power supply was connected. Now I could simply copy my PHP code to the filesystem and set up cron jobs just as I would in Ubuntu. UPDATE 2014-02-21: It has been almost a year since we started using Raspberry PI’s for our aggregation purposes. Since then, we’ve added a couple of pi’s for this specific purpose and retired all other aggregations machines, probably saving quite a bit on our power bill.